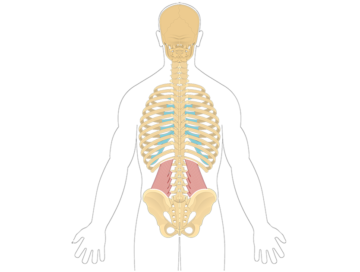 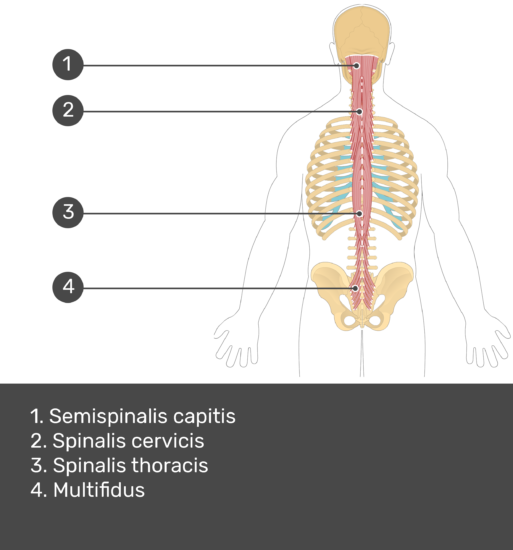 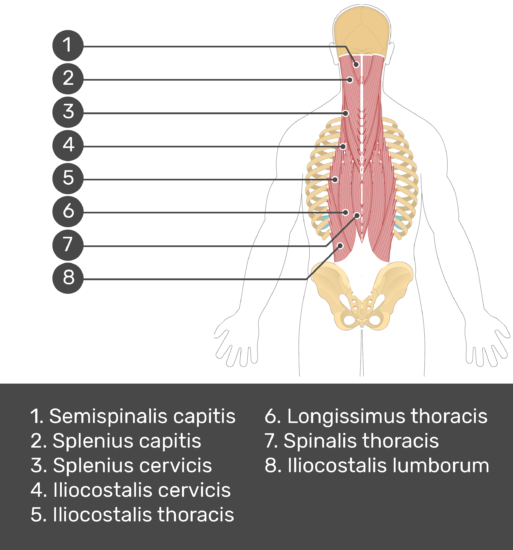 Origin: Posterior sacrum (next to foramina); superior iliac spine, mammillary processes of lumbar vertebrae, transverse processes of thoracis vertebrae, and articular processes of C4-C7. 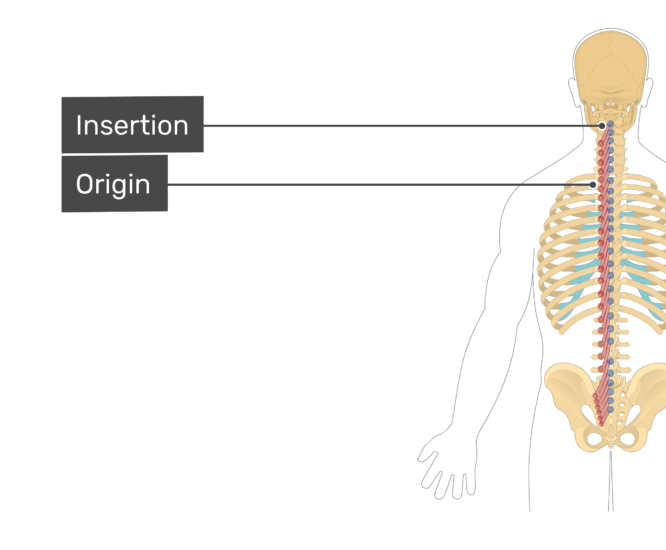 Insertion: Spinous processes of vertebrae (except C1), 2-4 bones above origin. 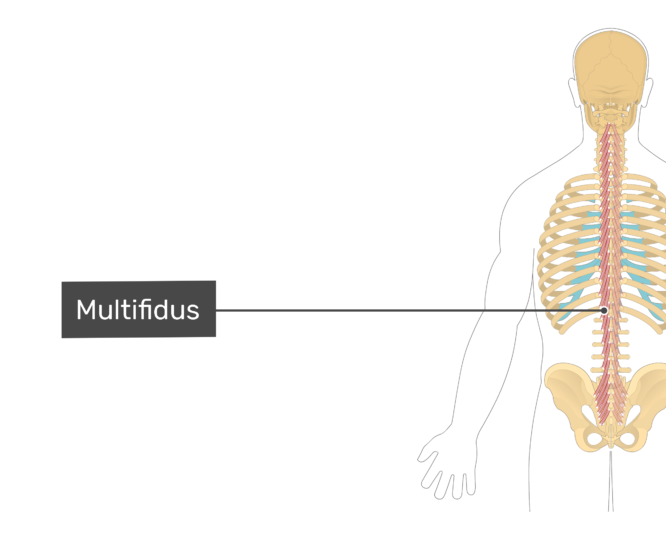 Insertion and origin of the multifidus muscle. Bilateral action: extends vertebrae (except C1), 2-4 bones above origin. 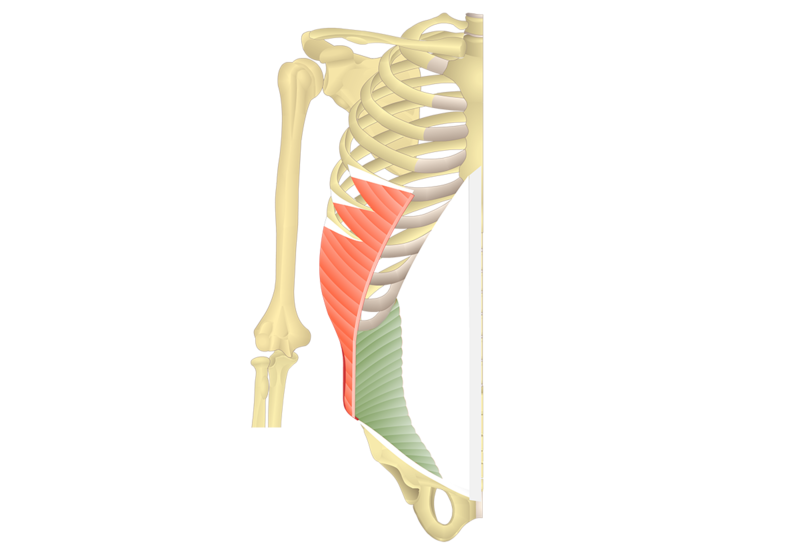 Unilateral action: laterally flexes and contralaterally rotates vertebral column. Lateral flexion of the vertebral column. 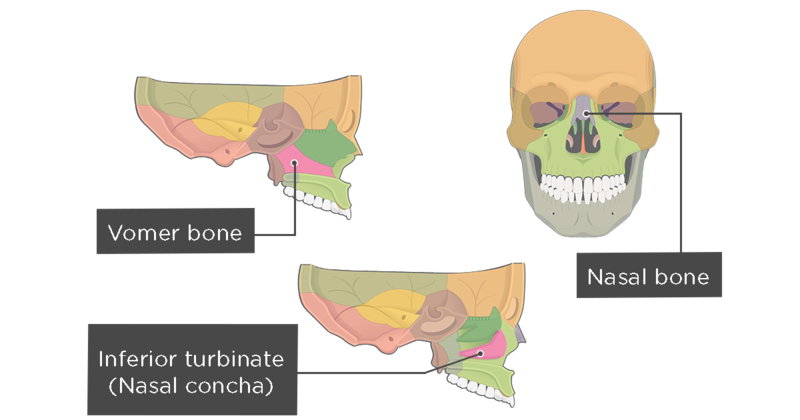 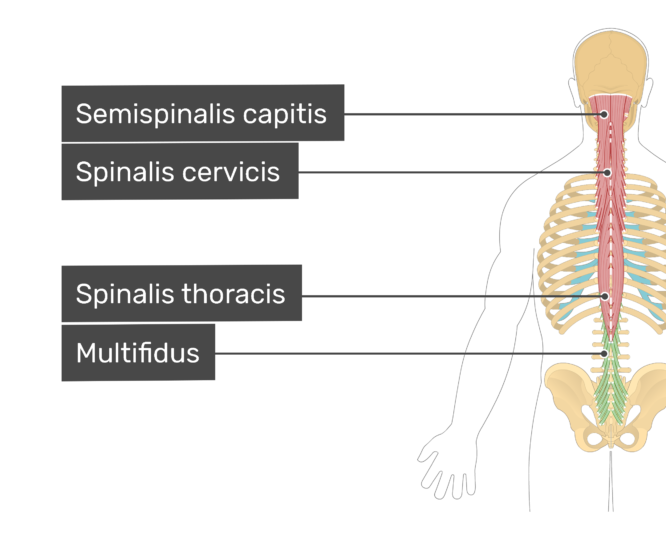 Contralateral rotation of the vertebral column. 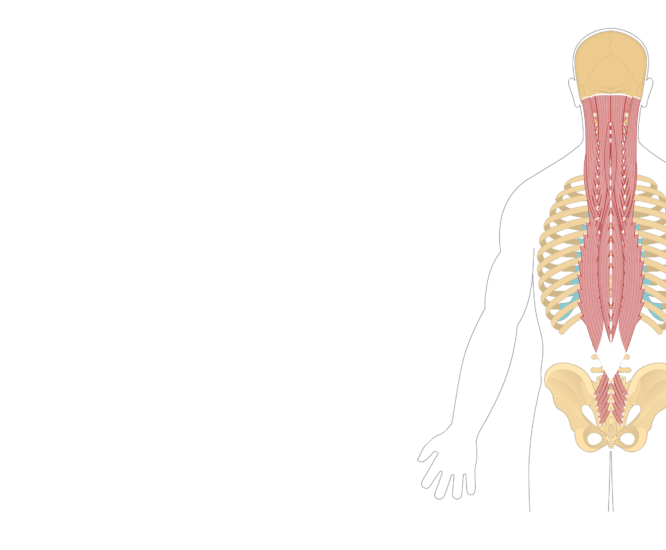 dorsal rami of spinal nerves. 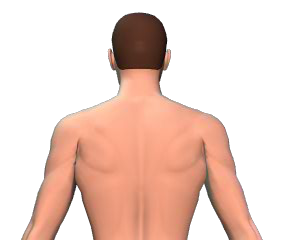 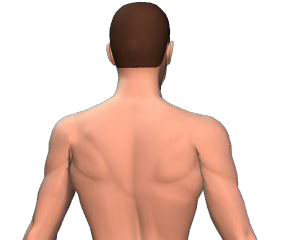 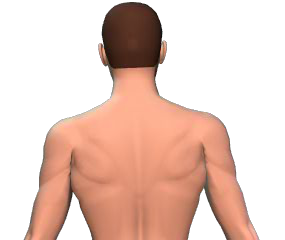 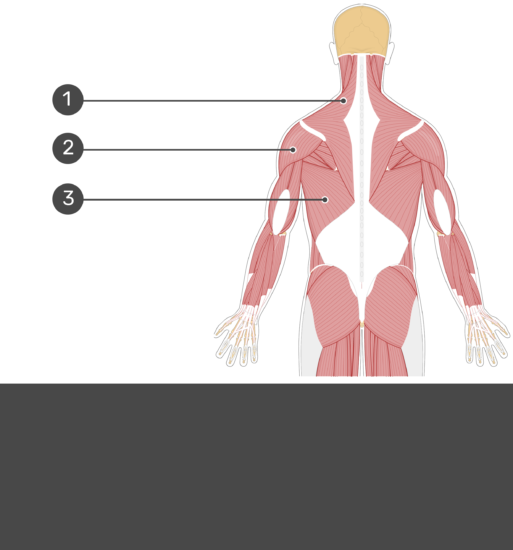 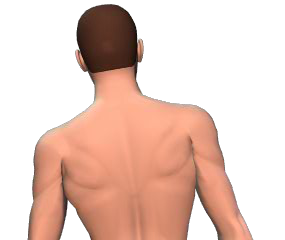 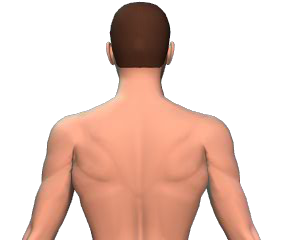 Review the muscles of the back and test yourself. 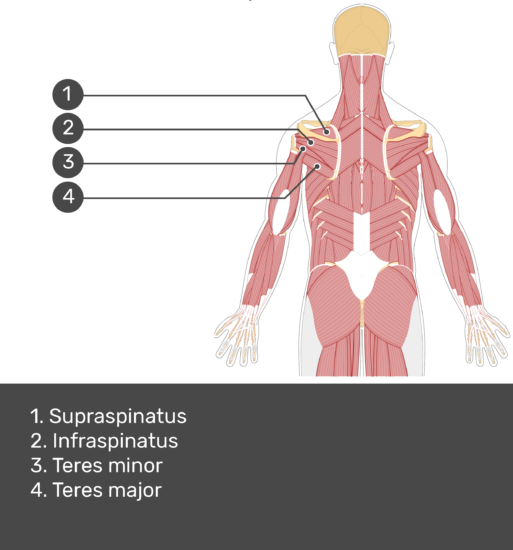 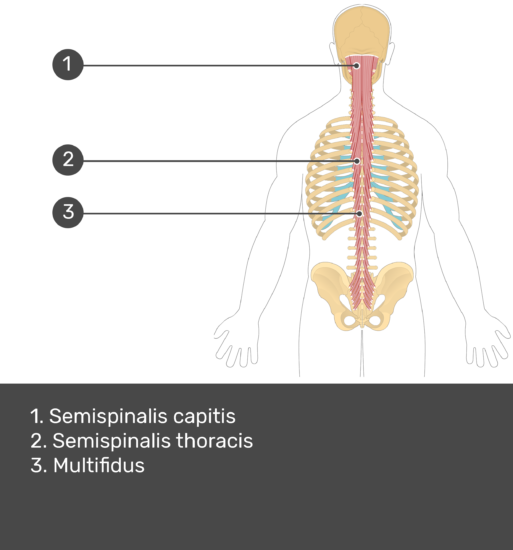 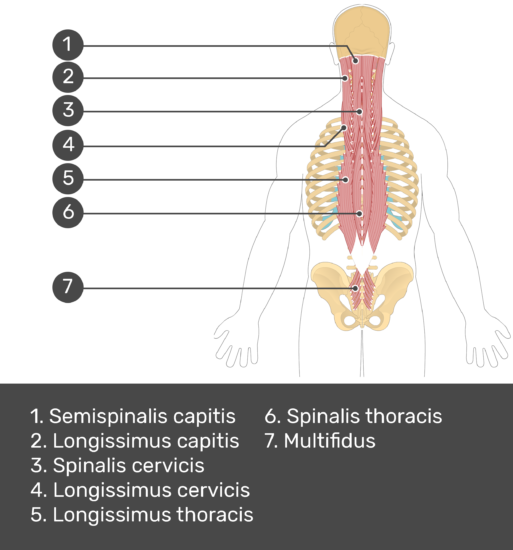 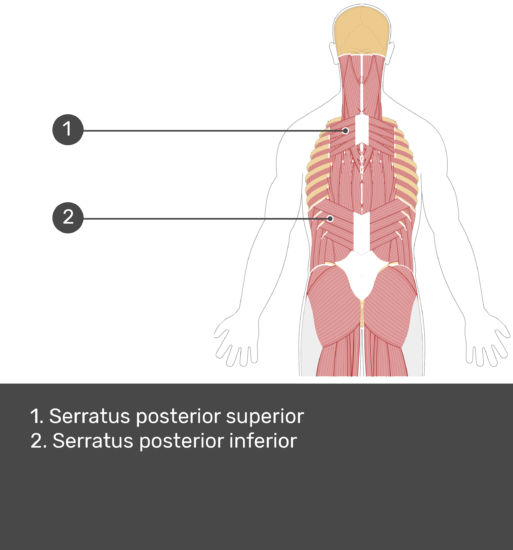 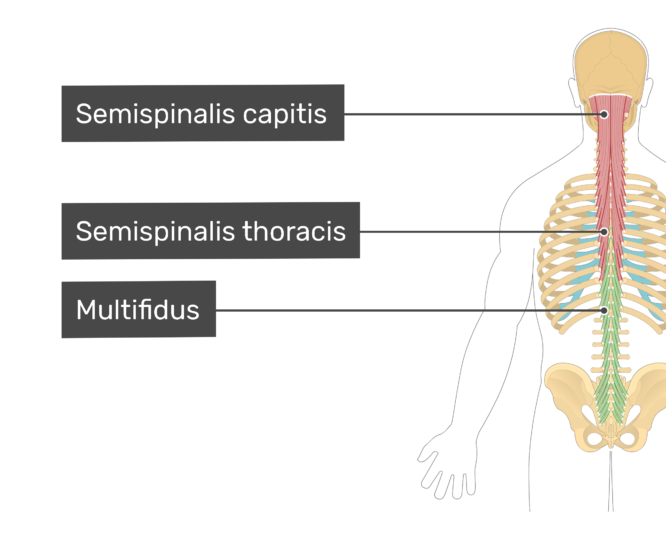 Review the attachments, actions, and nerve supply of the spinalis thoracis muscle and test your knowledge of the muscles of the back. 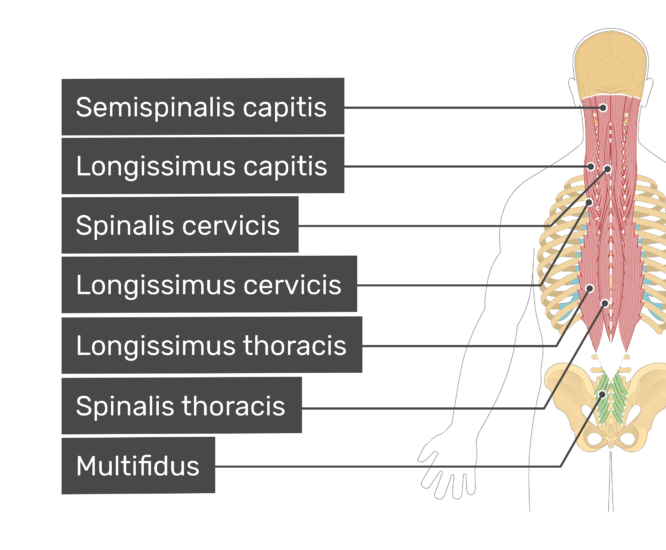 Review the attachments, actions, and nerve supply of the spinalis cervicis muscle and test your knowledge of the muscles of the back. 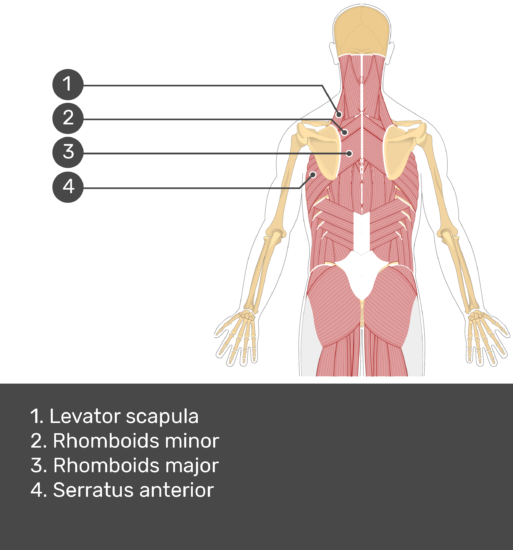 Review the attachments, actions, and nerve supply of the quadratus lumborum muscle and test your knowledge of the muscles of the back.